Category: *** Address: 2 Isaccei St.
Hotel Delta 3 is located on the Danube, and the magical scenery, tranquility and comfort are its main strengths. The hotel is close to the main sights of the city of Tulcea. Fully equipped and spacious rooms will offer comfort and relaxation you need, whether you are on business or to admire the beautiful Danube. Rooms are equipped with air conditioning, telephone, TV, free wireless internet. In turn is equipped bathroom with tub and hairdryer. The hotel restaurant welcomes you with preparations both renowned cuisine Romanian and international ones. House specialty is freshwater fish prepared in different ways by our master chefs. The conference room is equipped with latest technology, such as flip chart, video projector, laptop and air conditioning. You will be able to relax at the gym, or you can go to the swimming pool, the dry sauna, jacuzzi. 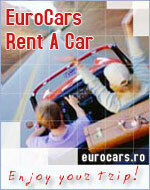 Or you can take a walk on the shore of the Danube River or take a short boat ride to Galati.